LGV/PCV Drivers Daily Check and Defect Book. 50 Serial numbered pages in duplicate. SKU: Product Code: VDB50. Category: Analogue Products. 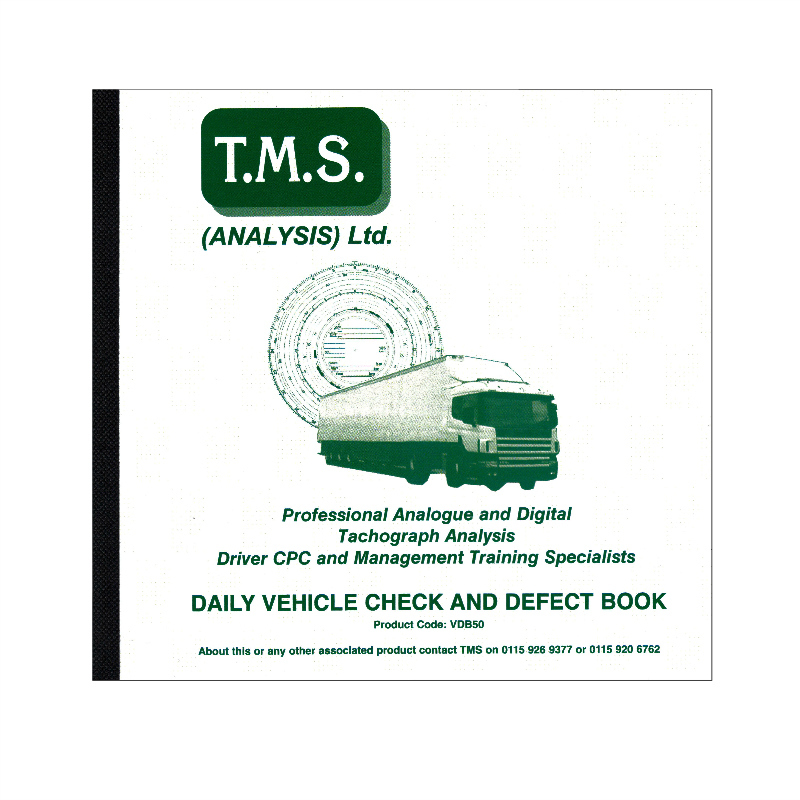 LGV/PCV Drivers Daily Vehicle Check Defect Book. A daily vehicle check defect book to encourage drivers in checking their vehicle before use. With simple tick box options to check your vehicle from wipers to speedometer & even a nil defect box. 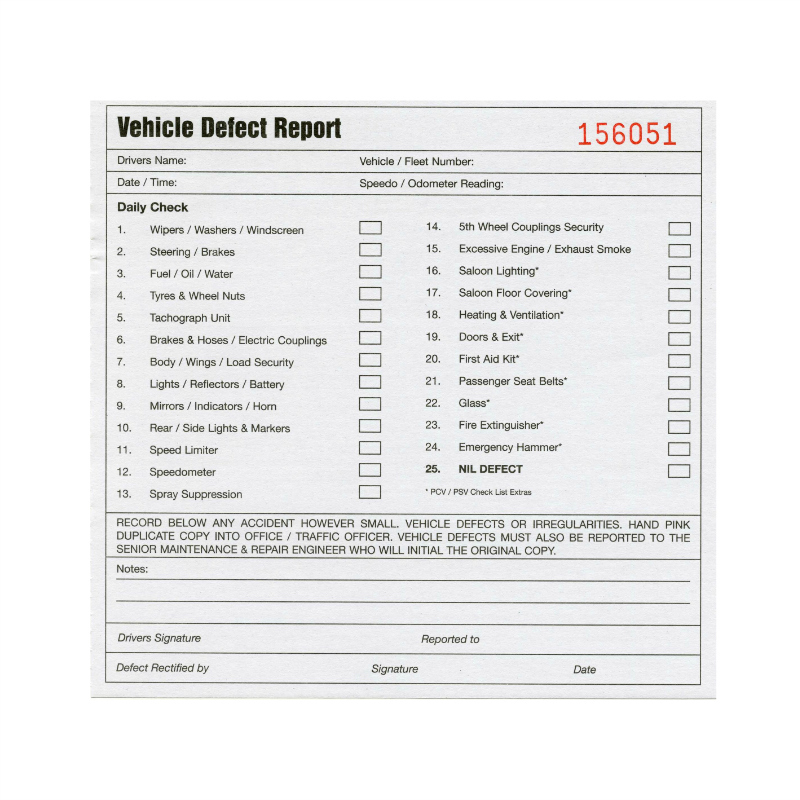 This daily vehicle check defect book has 50 Serial numbered pages in duplicate.